Last week at Relief Society class I taught about "Scriptures". This lesson can be found in our Church Gospel Principles book. I was ( always ) nervous when I taught. Imagine teaching women ages 18 years old and up at our church, Most of them are pioneers of our Church, mothers, older and experienced than me, that really stresses me! But of course, as the popular scripture verse says, "Trust in the Lord with all thine heart; and lean not unto thine own understanding, In all thy ways acknowledge him, and he shall direct thy paths." (Prov.3:5-6. ), i always made it. Let me share with you my lesson about Scripture last Sunday. Like prayer, Scriptures are one of the greatest blessings we have while we are here on earth. Reading the Holy Scriptures can answer to every question we may have in life. Many times in my life, when I feel disappointed or discouraged, confused maybe afraid, I turn to scriptures, search for comforting words and feel the closeness of our Savior. We are truly blessed to have Scriptures available to us today. We can read them whenever we want, like whenever we are driving we can listen to them anytime we want, Certain phones will let you download scriptures, If you are talking to a friend or co worker and you need an example to help express your point about some doctrine you have access to those materials at your fingerprints. Oftentimes, we neglect our duty to read the Holy Scriptures. Do you know that holy scriptures are like letters from home? Imagine being away from your family and receiving a letter from them and not bothering to open it or read it? This is what happens when we don't read these precious records. The holy scriptures are like letters from home reminding us how we can draw closer to our Father in Heaven. 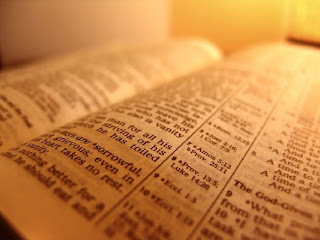 And if we desire to avoid the evils of this world, we must feed our minds with the truth and righteousness found in the scriptures, and if we do this we will grow closer to God as we read, ponder the scriptures. I know that if we will read the Holy scriptures everyday, glorious promises will then be ours. We can have a sure testimony of our Father in Heavens love for us. We can know the gospel plan and the blessings that come through obedience and right choices. I know these things are true in the name of Jesus Christ Amen.